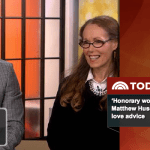 Yesterday I was invited back onto The Today Show to discuss men, commitment, George Clooney and the ‘male blueprint’. Here’s the recording. Enjoy! –What is it that makes a man or woman want to steer clear of commitment? Are men hard-wired a certain way not to want commitment? As Helen Fisher stated, on the whole, men want more public displays of affection, kissing in the street, and to move in sooner that women generally. The reason behind this however is more to do with the fact that a guy doesn’t associate all of the same things as a woman might with such moments. Men don’t attach the same meaning to things as women do in the early stages. Any woman who’s been introduced to a guy’s friends and family and been completely ingratiated into his life, only to find he’s never going to commit can attest to this. 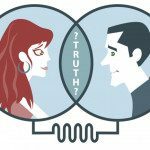 This isn’t to say that we’re ‘hard-wired’ any differently, but it does outline a difference in expectations that can lead women to draw false conclusions from men’s actions. –What does it mean to be committed? Can someone who doesn’t want commitment ever change their mind? George Clooney’s two-year (presumably faithful) monogamous relationship is a stronger form of commitment than most men make even when they say they’re committed! When we talk about men and their ‘blueprint’, what we’re really talking about is what a guy thinks he should be doing. If a guy has just come out of a relationship, what does he think he should be doing in that moment? –Enjoying himself? Playing the field? Having the novelty of single life? If so and someone were to come along who was the perfect perfect, if that’s where his head is at, a guy is likely to think to himself, ‘you weren’t supposed to come along right now’. –How can women get through to men to find out if he can come around to commitment? There is a language that gets through to men. So many women don’t know how to get through to guys on this level. If for example a woman says, ‘I want to know what we are right now’, it’s likely to scare a guy away. Alternatively, if a woman were to say, ‘I need to understand what you think we are right now because I have a lot of men asking me out’, this shows high demand and creates a pressure for the guy to make a decision, without explicitly asking. Want more insights into the male mind? I have something that reveals all. Check out my online program The Man Myth here. In it you’ll learn everything you need to know about the ‘male blueprint’, why men behave the way they do, and what you need to do to meet and attract your dream guy. « Back On The Today Show: He’s Just Not Ready For A Relationship? Given the recent update on his marital status, perhaps a follow-up to the George Clooney effect? Hello, after reading this awesome paragraph i am as well happy to share my familiarity here with colleagues. more. Thank you for fantastic information I used to be in search of this information for my mission. Yes! Finally someone writes about earn a living at home. It’s so funny when you go to this show. Seems like you real enjoy it! In the 2nd line, I mean to say “uncommon”. It is true that men love to tell their families and friends if they are into a girl. And it is not common for a guy to go as far as introducing himself to the girl’s family and relatives before the girl starts to go out with him. My experience is: a guy does this because he wants to become exclusive to a girl If They Ever go out. This is not a sign of commitment at all. Matthew, right? Ok I couldn’t believe what Helen said. Maybe it’s more external factors that play a stronger part in deciding what men and woman ‘think’ they want. Every time she said something, I was thinking, noooooooo. No way! Oh boy! Helen Fisher is THE BEST out there when it comes to understanding men and women from a biologically driven standpoint. I just love her. I’m so glad you got to do a spot with her. Speaking of dynamics… I noticed that Kathy Lee and Hoda behaved themselves in front of a “respected woman”. Pretty funny when Kathy Lee called Helen a philanthropist instead of an anthropologist. She’s really a social biologist… HaHa…IST humor. Dorkiness aside, I’m glad you got to speak without them interrupting you! Can’t wait to read KEEP THE GUY! Thanks for the video link! Helped a lot. This video was enlightening yet again. Interesting that men don’t attach the same meaning to things we may consider a sign that he’s actually serious. Frustrating that I didn’t understand this before, but eye-opening. Thanks, Matt!! Matt, thanks for doing these interviews. Wow, Kathie Lee and Hoda have no idea how disrespectful they are to you. Backhanded comments, interrupting–and in public. You played it cool though. first, thanks for the vimeo. second, they cut you off and I also want to know what you were going to say. I’m very happy to be watching your success. from those first nervous videos on selfesteem you posted on YouTube to the Today show. and you’re better looking now, too! have a great weekend, Matt! I wish they would’ve let you talk more! I love that make language suggestion at the end. How dare they not call you the smart one haha More Matt! When does “Keep the Guy” come out? I cannot wait to try it. And you still owe us as blog post on the “Rare Gemstone Effect”. I think the subtle shift in language has a large change in meaning but I don’t understand why this fixation on commitment. I have to agree with Helen Fisher and say I don’t think George Clooney was in love with these women. Is it really very romantic to have to ask where in a relationship you are. Surely if it was right you would just want to be swept along with the emotions. But I know we all live in the real world. I do not have all the answers so its a good job you do. Looking cool, the look suits you. Makes you look laid back but you really have to work hard to get any sensible point across on that programme. But hey 27 yrs, that’s impressive. It is always enlightening to hear your advice. Thank you! you’re changing my life for good. After reading your book and listening to the videos of your blog, I’m realizing that you have to play a little and not show all the cards on the table. do you have any formula to be mysterious and intriguing?. She’s super annoying. How do you get a word in edgewise? Aaaargh! I wish they wouldn’t keep interrupting you! Would like to know what you were going to say. And: thanks for putting upvimeo link, worked my phone. Great video as ever Matt. I’m interested in this concept of male language as I have experienced trouble understanding what a guy actually wants in the past (and now if I’m perfectly honest) so I want a way of getting through to him and getting the answers I need rather than no response to the questions I ask. I love my daily little confidence boosts from you. Can’t wait for the next one. Hi Matthew i just Told you That i had removed the video iv’e uploaded again. And let me know what you think of my two video’s and can you postt video on your blog or share on Facebook so That i get. More views?? Please Matthew can you do That for me?? Thnx So And so Much for everything. 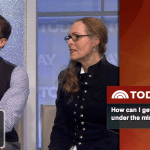 Back On The Today Show: He’s Just Not Ready For A Relationship?